When Imani Kai Johnson was in graduate school, she began thinking about what hip-hop is – and where it’s going. 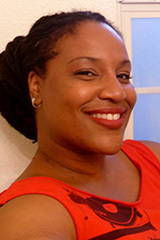 Several years later, Johnson created her own space to showcase and discuss the future of hip-hop studies. 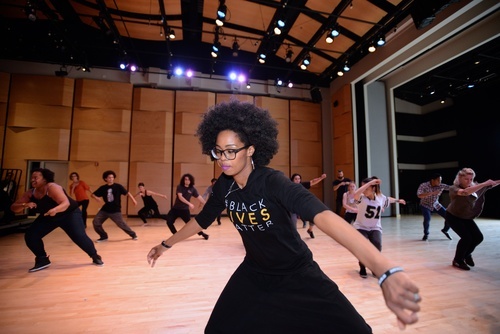 On Dec. 7-9, the University of California, Riverside’s Department of Dance will host the fourth biennial Show & Prove Hip Hop Studies Conference at the Barbara and Art Culver Center of the Arts in downtown Riverside. Show & Prove is free and open to the community. Artists, practitioners, and community organizers are all welcome. Participants are encouraged to make reservations. The conference is also sprinkled with exhibits, workshops, and performances. The topics cover everything from breaking, females and hip hop, sexuality and gender identity, incarceration, journalism, the role of technology, and millennial rap, to name a few. One of the conference’s goals is to give exposure to community organizers and scholars developing their work, Johnson said. At UCR, offering a biennial conference has become a cross-campus collaborative effort, with at least 14 cosponsors for this year’s events. Bringing an international community together to Riverside to learn and shape the future of hip-hop studies, is one of her greatest accomplishments, Johnson said. As a young, black girl growing up in San Jose, she still remembers listening to the music and watching news on television highlighting breakers in New York. Except, on the West Coast in San Jose, nobody was around to teach the 5-year-old girl who was loving the music. Occasionally, she would watch her older brother and his friends rapping in the living room. Johnson would imitate them and practice her own moves over and over again. But it wasn’t until she heard Rapper Roxanne Shante that hip-hop took a larger meaning in her life. “Roxanne Shante was the first female artist I listened to. I remember adamantly trying to learn her rhymes and relating to her songs so much. For the first time it felt like someone was speaking directly to me,” said Johnson, who obtained her undergraduate education at UC Berkeley, masters from New York University, and doctorate from the University of Southern California. Coming of age in the 1990s has made her appreciate the artists and the music that at times is more abstract, more deep, than mainstream media is willing to showcase, she said. Tickets: The entire conference is free and open to the public, but reservations are encouraged.